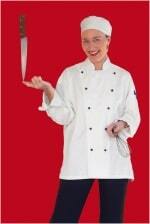 Australia needs more Chefs and Cooks!! Welcome news for the silver service restaurant industry, with the release of an Industry Labour Agreement today. The Restaurant (Fine Dining) Industry Labour Agreement, which applies only to high end restaurants who offer silver service, will mean that approved restauranteurs will be able to sponsor Cooks and Chefs on special arrangements which represent a concession from the normal visa requirements. Plus, a new occupation of Trade Waiter, may soon be available under the agreement; as soon as the occupation is nationally endorsed. The Agreement follows months of negotiation by the peak industry association, Restaurant & Catering Australia (R&CA). R&CA CEO John Hart says the labour agreement has come at a critical time for the sector. “The sector is currently experiencing a shortfall of 56,000 workers. Employment growth in the cafe, restaurant and takeaway food services sector will require an additional 43,700 jobs by November 2018. The rate of employment growth in this sector is expected to be higher than any other sector in the Australian economy, growing at around 8.5 per cent. “R&CA’s 2015 Benchmarking Survey found that 58.9 per cent of businesses currently have vacancies with 24.6 per cent indicating they were having extreme difficulty finding staff. Chefs, Cooks and Restaurant Managers ranked as the most difficult vacancies to fill. “R&CA has long advocated for a labour agreement that will streamline migration processes and provide businesses with access to semi- and high-skilled labour,” Mr Hart says. Under the agreement, businesses will be required to meet a set of criteria in order to access skilled staff including having an la carte menu, having uniformed staff and a maître d’, and have achieved industry recognition through award programmes. The agreement will also provide a concession on the Temporary Skilled Migration Income Threshold (TSMIT) of 10 per cent, in line with recommendations of the independent review of the 457 visa programme. “This moderate concession means it will be more feasible for operators to hire overseas workers, should they be able to demonstrate they have experienced prolonged vacancies in their businesses,” Mr Hart says. Mr Hart says the Government’s commitment to developing the Labour Agreement is recognition that skilled migration in the tourism and hospitality industry is necessary for economic growth. In 2014-15, the Accommodation and Food Services industry was the largest user of the 457 Temporary Work (Skilled) visa programme, with 4,350 applications granted. Cooks, Café and Restaurant Managers, and Chefs ranked in the top 15 nominated occupations for primary applications in 2014-15. Need to sponsor someone in hospitality? If you’re wondering whether you might benefit under the new Labour Agreement; why not contact Emergico and discuss your needs?